I am creating a series of lith sections that include a single I-Data column. All is well and I have a layout that works well. I am saving an RCL for each section and while it saves the layout parameters, text details etc it is not saving the line of the section on the map. IS that expected or must I load the saved RCL then re-pick the line of section? 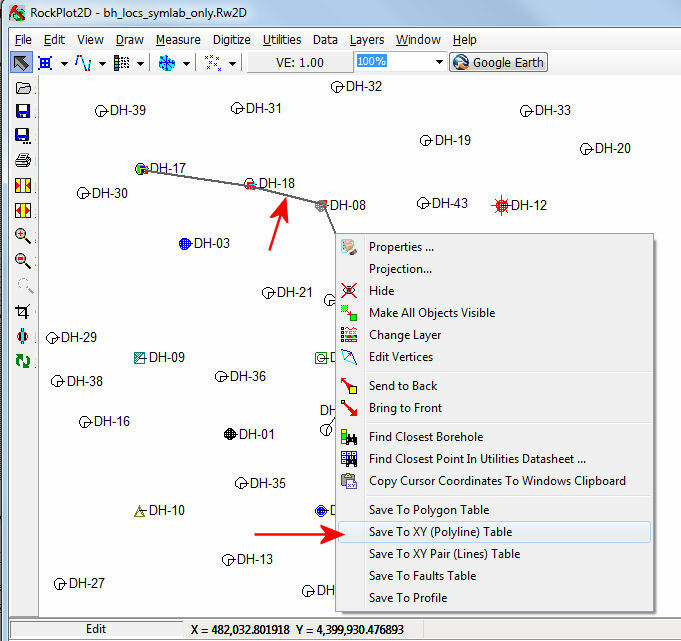 RCL scripts do not actually save the section location you've drawn in the Section Selection Map tab. Instead, you can save each section location to the database using the File | Export | Database Table menu option at the top of the Section Selection Map window, assigning a name of your choice. Profile and fence locations can similarly be saved in the Selection Map window to the database, and then re-loaded into the Selection Map window or called via RCL. These are all accessible via the Project Manager | Project Tables | Log/Section Tables: "XY Coordinate Tables" for sections, "XY Pair Tables" for fences, and "Profile Tables" for profiles. 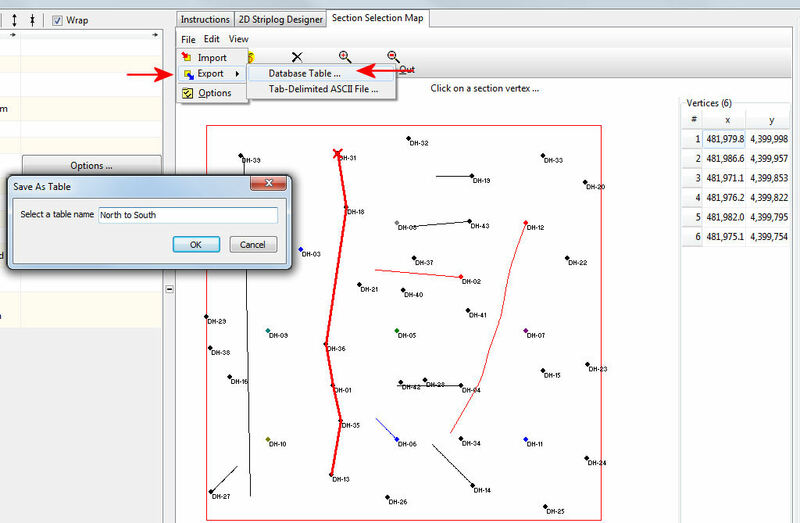 Note that you can also draw your section paths in a Rockplot2D map (say, of your borehole locations) using the Draw | Line Types | Polyline drawing tool. When the polyline is complete you can right-click on it and choose Save to XY (Polyline) Table, assigning a name of your choice, and this series of coordinate pairs will be stored in the database, just as above. Then repeat for any other cross sections you'll want to create.